Morning glory blender pancakes are made all in the Braun PureMix Power Blender, cutting down on the number of dishes to wash! 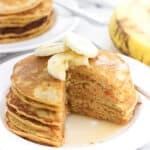 These cinnamon spiced pancakes feature an apple, finely grated carrot, and a banana for a satisfying, tasty breakfast. Today I’m excited to be sharing with you basically the contents of my brain for the past year and a half: food and wedding. Some parts of wedding planning took no time to decide, such as having multiple, fun flavored cakes in lieu of one traditional wedding cake and ordering my dress online, but others, like filling out a wedding registry, inevitably take some time. Since we’ve been living in a house for a few years now, we already had a handle on basics. We both like to be intentional with our purchases and homewares, so we carefully chose items that have a mix of practicality, functionality, and style. I’m not one for strictly decorative items that spend most of the year taking up space in cabinets or closets. Add items at a variety of price points, especially less expensive items. 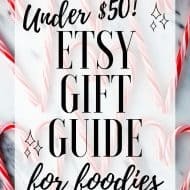 This makes it easier for your loved ones to group together smaller items to assemble a gift in a price point that’s most comfortable for them. If applicable, think about your future house guests. Since we live a good distance away from most of our friends and family, visiting guests always stay overnight with us. We registered for comfy bed toppers, linens, pillows, etc. for our guest room that will be used by our friends and family when they’re in town. They’ll get to see their gifts in action and take advantage of a relaxing and comfortable guest space. If your living situation is cramped for space, look for items that can pull double duty. Especially in the kitchen! Many appliances are multipurpose or have attachments for specific purposes that can eliminate the need to register for standalone devices. 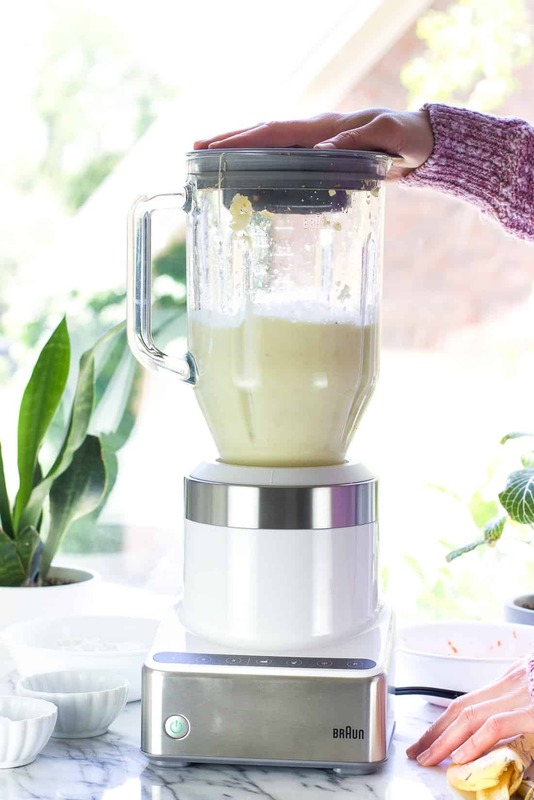 If you’re in the midst of putting together a wedding registry, Braun products, including the PureMix Power Blender (available on BedBathandBeyond.com), would be excellent additions. This sleek and modern blender has a glossy white and stainless steel design, and boasts 1000 watts of power for a serious blending experience. Two of its attributes that I love are the SmoothCrush Blade System and the PowerAssist Technology. The SmoothCrush Blade System allows the blade to sit higher in the specially designed jug, resulting in what I’ve found to be very efficient blending. Then the PowerAssist Technology auto-senses the contents of the carafe, maintaining an optimal speed to thoroughly blend whatever it is you’re making. 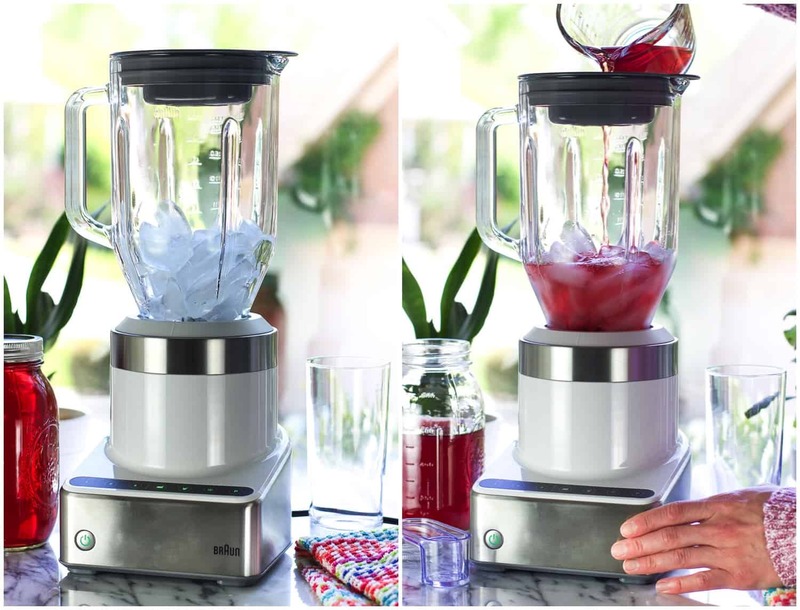 Along with three special features (smoothie, chop, and ice crush), it features a glass carafe for no-stress blending of hot and cold food and drink. And again, bonus points for how nice it looks sitting out on the counter! Before I get to how easy it is to make pancake batter entirely in the blender (! 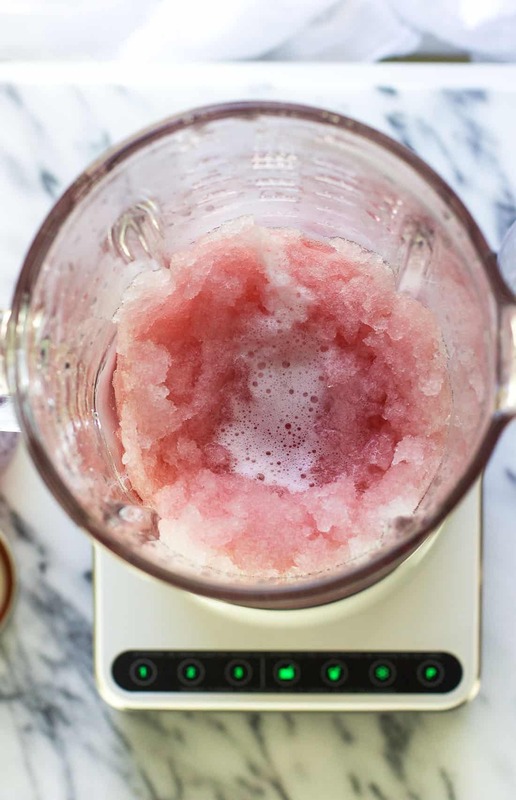 ), I wanted to show you what may be my favorite feature of the Braun PureMix Power Blender – the ice crush. In my opinion, this is an area that shows you a blender’s true colors. Since we’re approaching months of warm weather, frozen drinks are on the horizon and my blender will be getting put to good use. It’s no secret that I’ll take whatever shortcut I can to minimize the number of dishes and utensils I have to clean up after cooking. 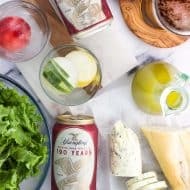 Of course, sometimes it’s necessary to separate ingredients out and combine them in a specific way, but for some recipes? One bowl is where it’s at. Or in this case – one blender! 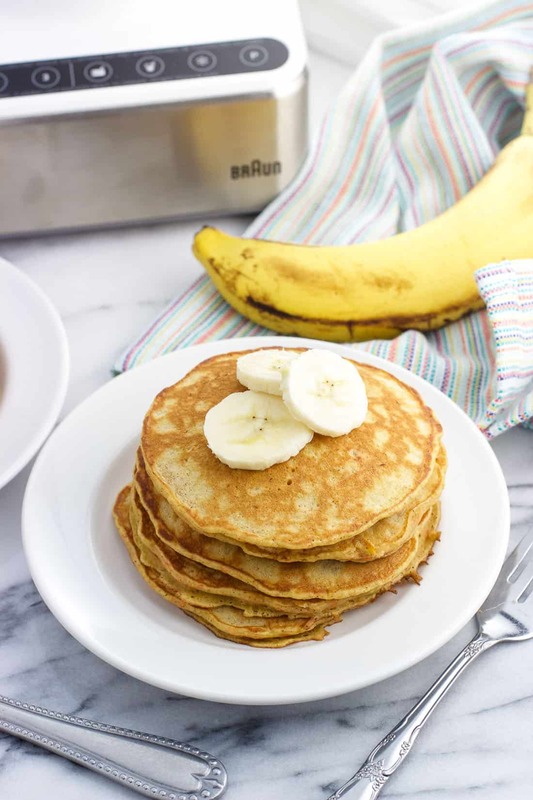 These morning glory blender pancakes go directly from blender to griddle, and cook up beautifully on the stove. Now I’ve seen some variation in ‘morning glory’ flavors, but I’m partial to the ones I use in my whole wheat morning glory bread – banana, apple, carrot, and cinnamon. 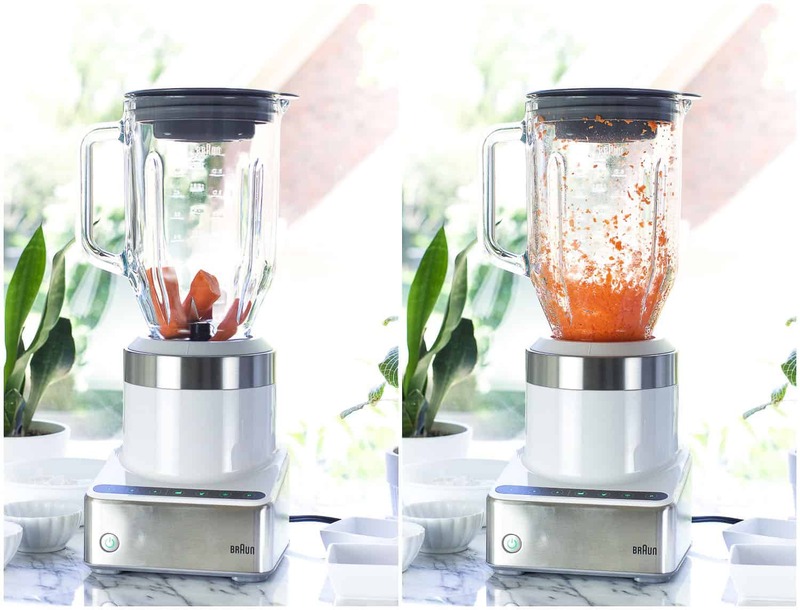 First the carrot and apple get shredded in the blender, and then are removed to a separate bowl. Then in go the wet ingredients. including the banana. Once creamy (the top left picture above), the dry ingredients are added right in (top right). After they’re just incorporated (bottom left), the carrot and apple are added for a super quick zip to combine everything (bottom right). 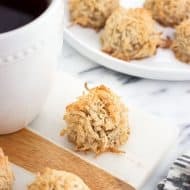 All that’s needed is to heat up a pan or griddle, and you’re a few minutes away from breakfast. Between April 29th and May 12th, you can enjoy 15% off the Braun Kitchen Collection. The carrot will chop up very quickly – within a second or two. The apple may take a few pulses longer, and require scraping down the sides and a stir or two to get all the larger pieces. If you’re a pancake pro, feel free to cook them your preferred way instead of following my directions below. I’ve experimented with a variety of heats and cooking oils, and have landed on a low-medium heat with a very small amount of butter as my ideal method. Bumping the heat (for me) resulted in very well done pancakes, so a little lower and a little slower are what I prefer. Morning glory blender pancakes are made all in the blender, cutting down on dishes to wash! 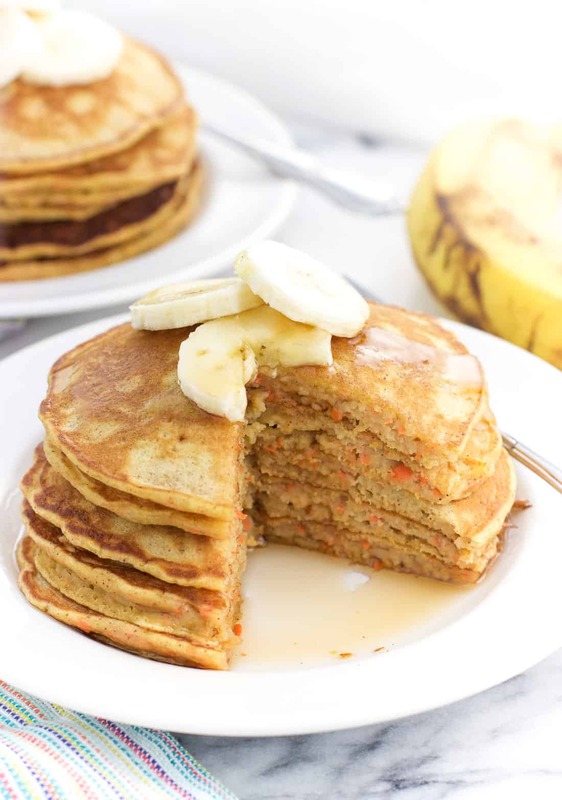 These cinnamon spiced pancakes feature an apple, finely grated carrot, and a banana for a satisfying breakfast. Peel carrot and chop into 2-3 pieces. Add to blender and pulse until carrot is in small pieces. Transfer carrot to a separate bowl. Peel and core apple, roughly chopping it into a few smaller pieces. Add to blender and pulse until it's in small pieces. Add apple to the bowl with the carrot. To now empty blender, add buttermilk, banana, egg, melted butter, and vanilla extract. 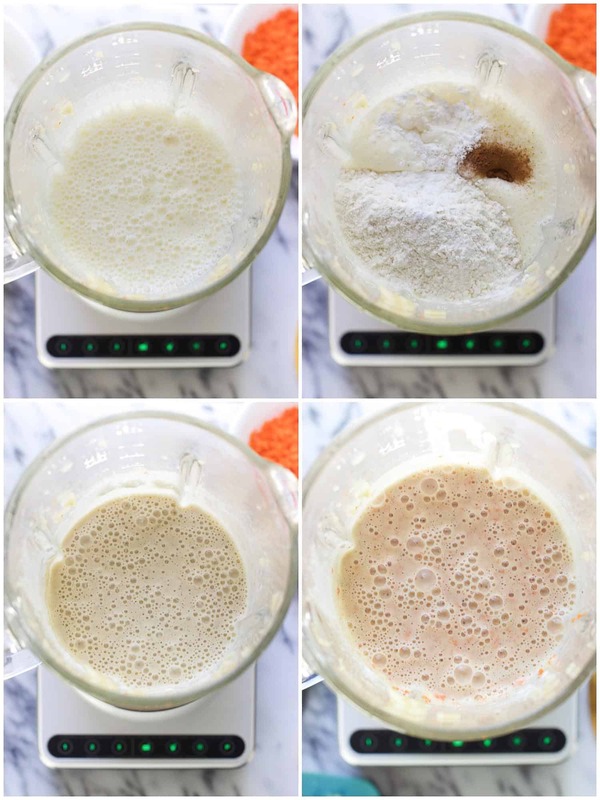 Blend until light and creamy. 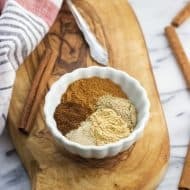 Add flour, cinnamon, baking powder, baking soda, and salt to the blender and blend until just combined. Add in carrot and apple and give everything one or two quick pulses to combine. Heat a skillet over low-medium heat. 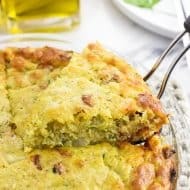 Add a small pat of butter to the skillet and using a folded up paper towel, spread butter around the skillet until melted and no visible chunks of butter remain. 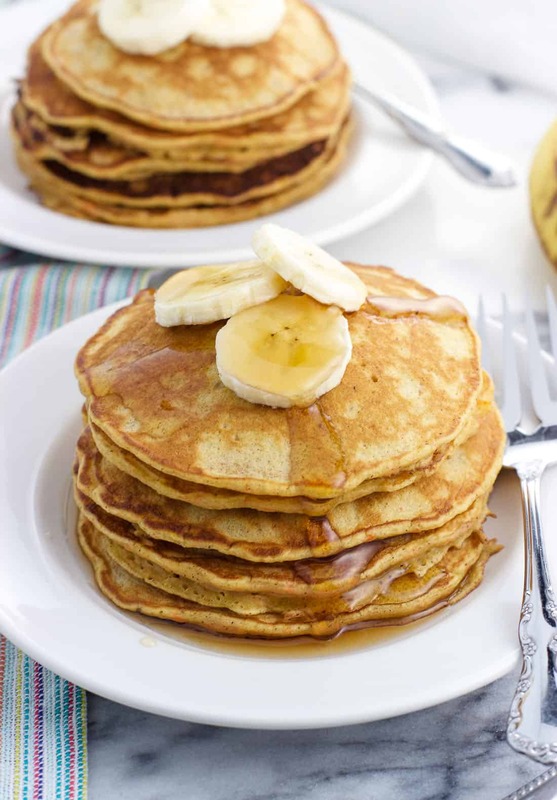 Scoop out pancake batter using a quarter-cup measuring cup and pour onto the skillet. Flip once bubbles appear and the bottoms are golden-brown, then cook until the bottoms reach your desired color. Repeat for the rest of the batter. A tip if you don't have buttermilk on hand (I frequently don't). 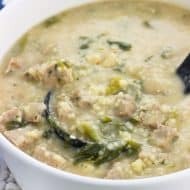 In this case I add 2 1/4 tsp of white vinegar to 3/4 cup of regular milk at the very beginning of the recipe, making sure it sits for at least five minutes. This does the trick! To measure the flour, stir up the flour in its canister so it's fluffy and not packed down. Using a soup spoon, spoon flour into measuring cup until it's heaped in the center, above the edges. Situate the measuring cup over the opening of the canister/bag and level off the flour using the straight edge of the spoon, allowing the excess to fall back in the bag. This way prevents packed in flour, which will add too much to the recipe.